From the #1 bestselling author of October Sky comes this rich, unforgettable tale. With the same dazzling storytelling that distinguished his first memoir, Homer Hickam takes us deeper into the soul of his West Virginia hometown at a moment when its unique way of life is buffeted by forces of time and change. It is fall 1959. Homer “Sonny” Hickam and his fellow Rocket Boys are in their senior year at Big Creek High, and the town of Coalwood finds itself at a painful crossroads. The strains can be felt within the Hickam home, where Homer Sr. struggles to save the mine, and his wife, Elsie, is feeling increasingly isolated from both her family and the townspeople. Sonny, despite a blossoming relationship with a local girl, finds his own mood darkened by an unexplainable sadness. 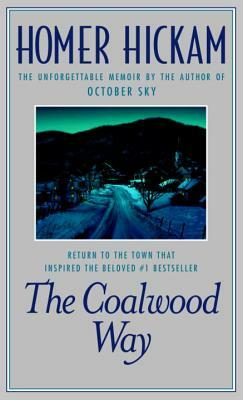 Then, with the holidays approaching, trouble at the mine and the arrival of a beautiful young outsider bring unexpected changes in both the Hickam family and the town of Coalwood ... as this luminous memoir moves toward its poignant conclusion. Homer H. Hickam, Jr., was born and raised in Coalwood, West Virginia. The author of Torpedo Junction, a Military History Book of the Month Club selection, as well as numerous articles for such publications as Smithsonian Air and Space and American History Illustrated, he is a NASA payload training manager for the International Space Program and lives in Huntsville, Alabama.